Coastal storms at Stonehaven. Picture: Aberdeenshire Council. New flood warning systems are to be introduced around the Aberdeenshire coast. 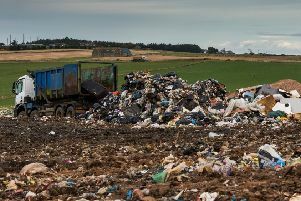 Stonehaven, and Inverbervie to Tangleha, are among the areas to be covered under the Scottish Environment Protection Agency (SEPA) announcement this week. 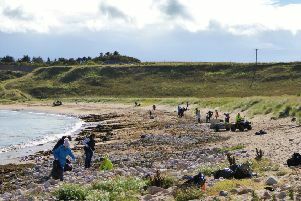 The initiative is to increase resilience for vulnerable communities around Scotland’s coast. It is estimated that more than 169,000 homes and businesses will be at risk from flooding by 2080 due to climate change. Coastal flood damage is reckoned to cost the Scottish economy £53million each year. The new early warning areas will extend the SEPA floodline service to take in nearly the whole of the east coast. As Scotland’s national authority for flood forecasting and warning, the agency operates a 24-hour flood forecasting and warning service to inform first responders, local authorities and emergency services of emerging flood events and the potential impact on local communities and critical infrastructure. SEPA says the new warning areas for Orkney and the North-east coast represents a significant investment and enhancement of Scotland’s overall resilience to the impact of climate change and extreme weather. “As sea levels rise all around the UK coastline, it brings with it the risk of coastal erosion and more frequent flooding for exposed coastal communities. Environment Secretary Roseanna Cunningham said: “Scotland’s climate is changing, and this means extreme weather events, including floods, are expected to occur more frequently in the years ahead. Other areas to be covered include Aberdeen Coastal, Port Errol to Newburgh, Peterhead to Boddam and Inverallochy to St Combs.